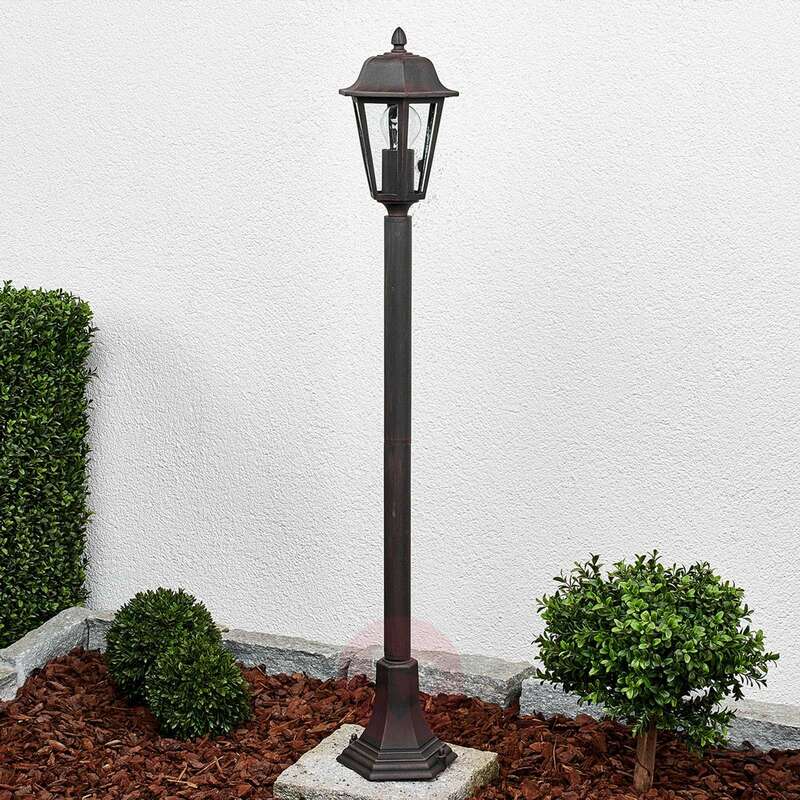 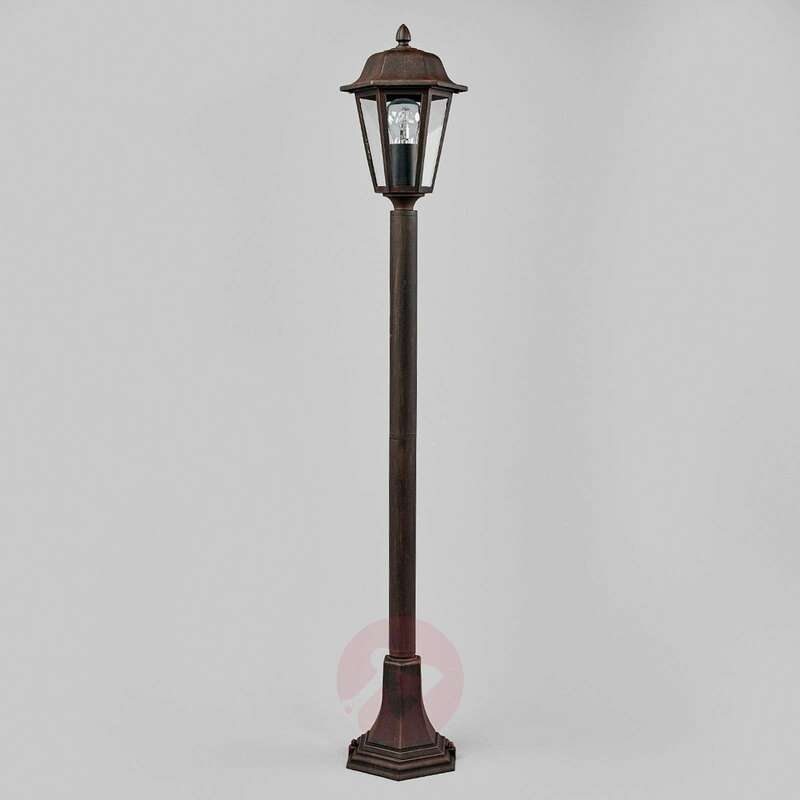 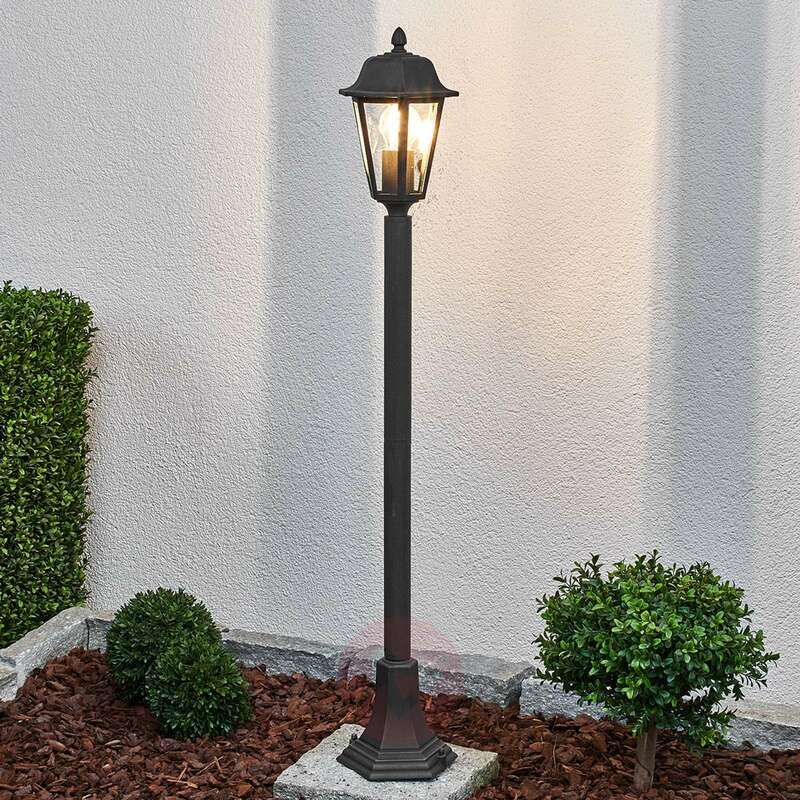 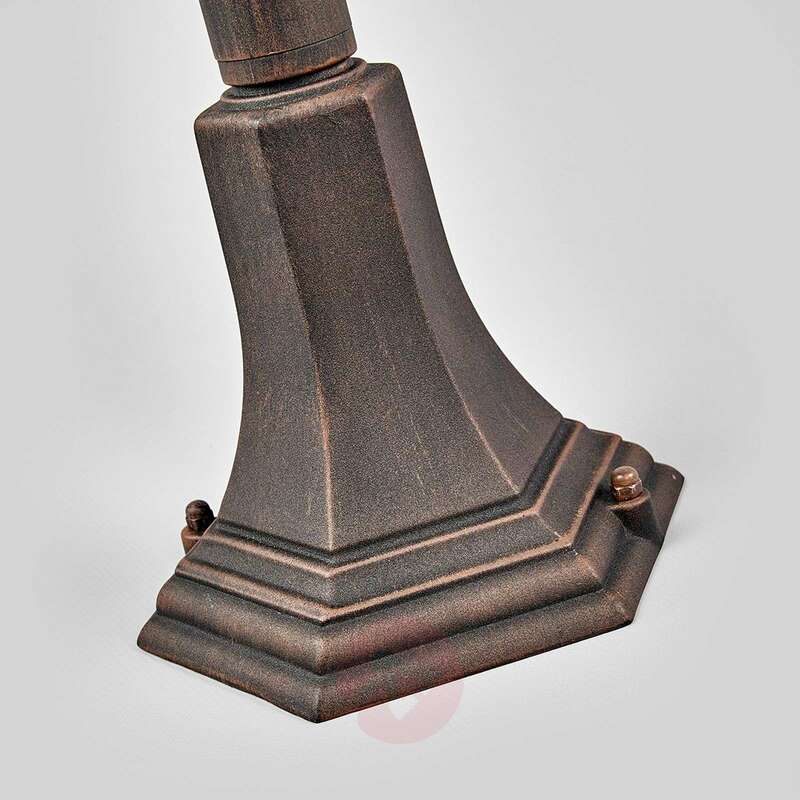 This bollard lamp with its lantern shape matches a classical atmosphere where the rusty brown finish of the frame gives it an antique touch. 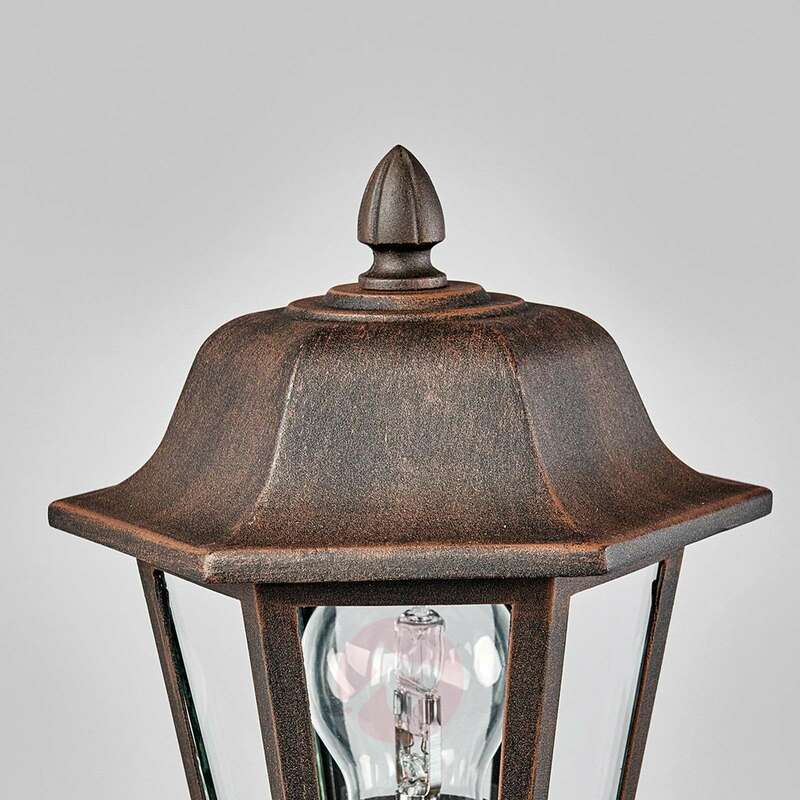 The lampshade is actually reminiscent of classic lanterns, which were lit up by candles centuries ago and provided the necessary light in this way. 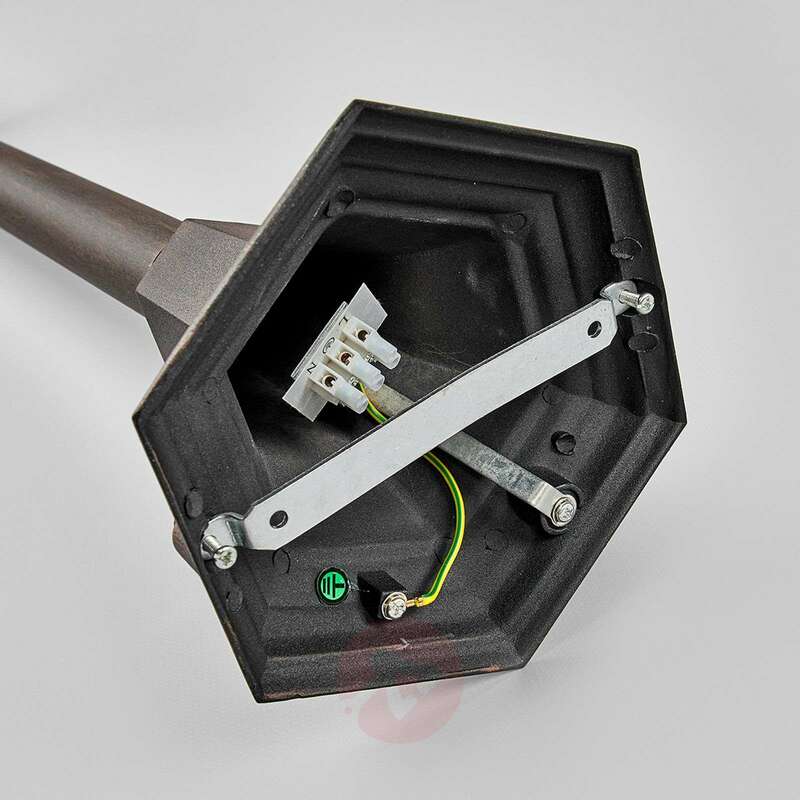 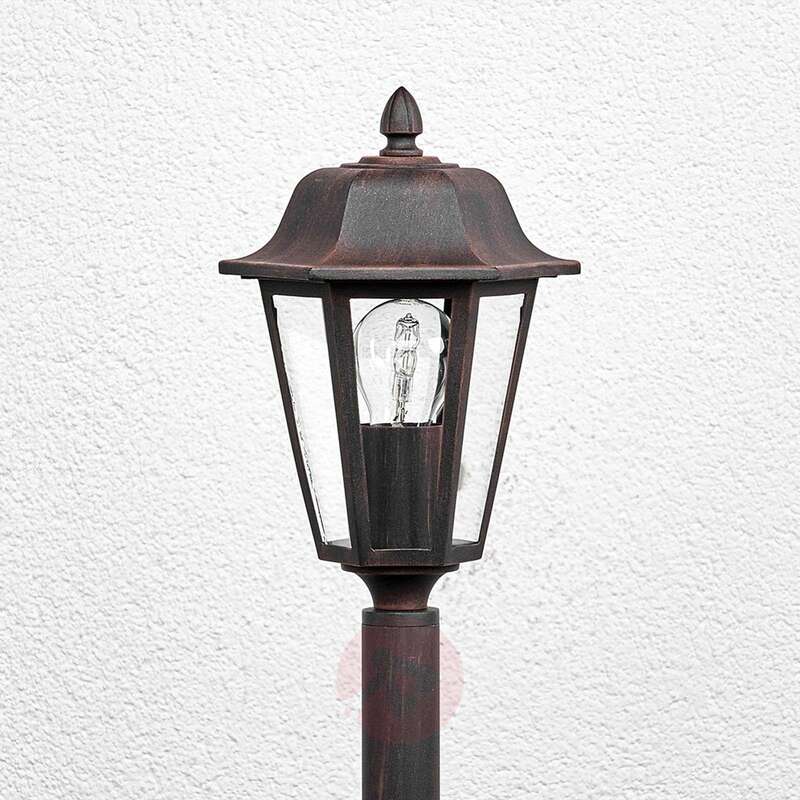 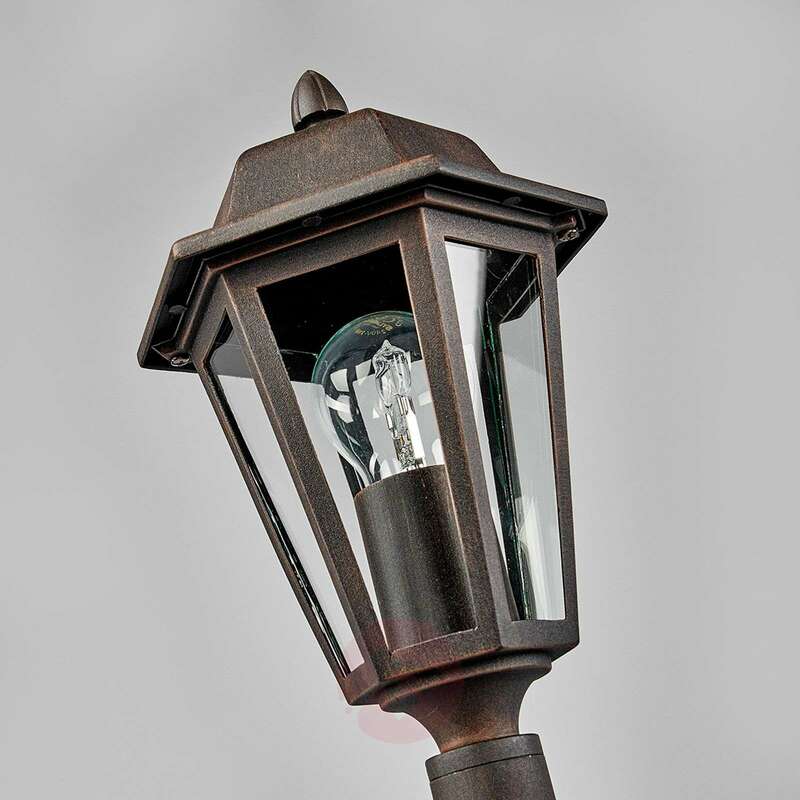 Clear glass panes are embedded laterally in the bollard lamp to protect the light bulb. 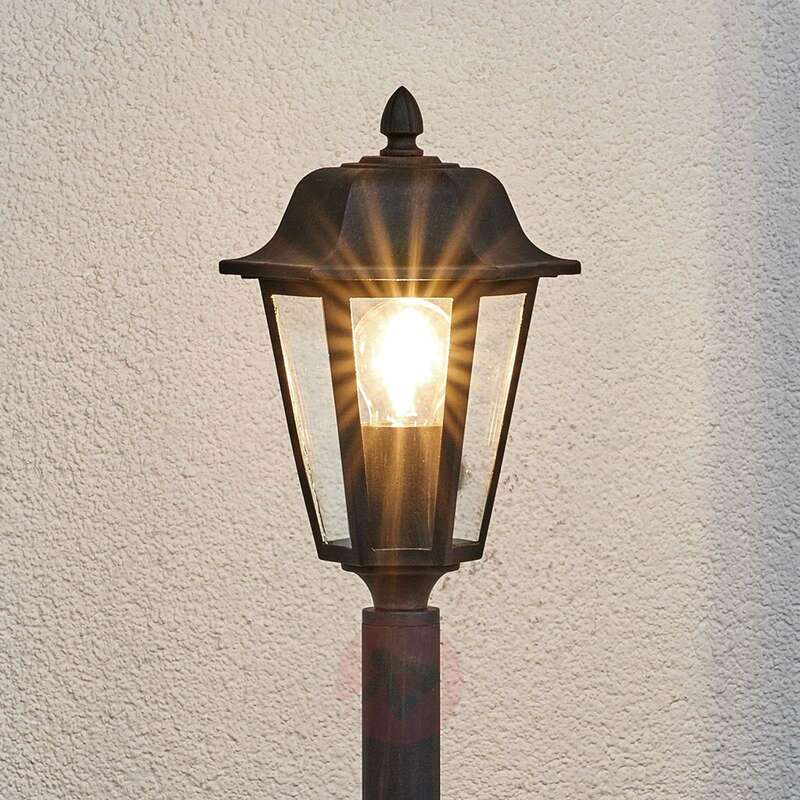 Thus, water and dirt virtually have no chance to enter and the light can still freely penetrate into the environment as its luminosity is not reduced.